These speeches can be tailored anywhere from fifteen minutes to an hour, depending on your requirements. 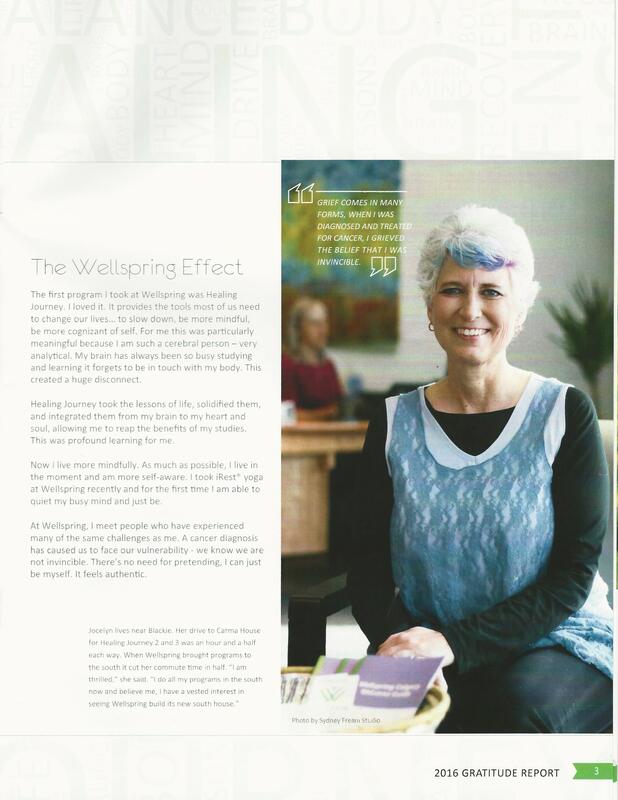 Click here for a short video of my experience at Wellspring Calgary prepared to present to potential donors as part of a capital fundraising campaign. This is the Toastmasters International speech that launched Jocelyn as a speaker. Her first competition speech won club, area, and division competitions and placed third at District (over 120 clubs participating). Here is a four minute version of the speech accompanied by pictures. Our department approached Jocelyn Hastie to have her present at our staff education session. As AHS employees we are always interested in understanding the patient’s experience and often do not have access to the unique perspective they can provide. We found the presentation to be a personal and moving experience that kept us engaged from start to finish. Jocelyn is a talented speaker who motivates the audience with authenticity and bravery. I would recommend this presentation to healthcare workers, patients and the public as it had something for everyone. 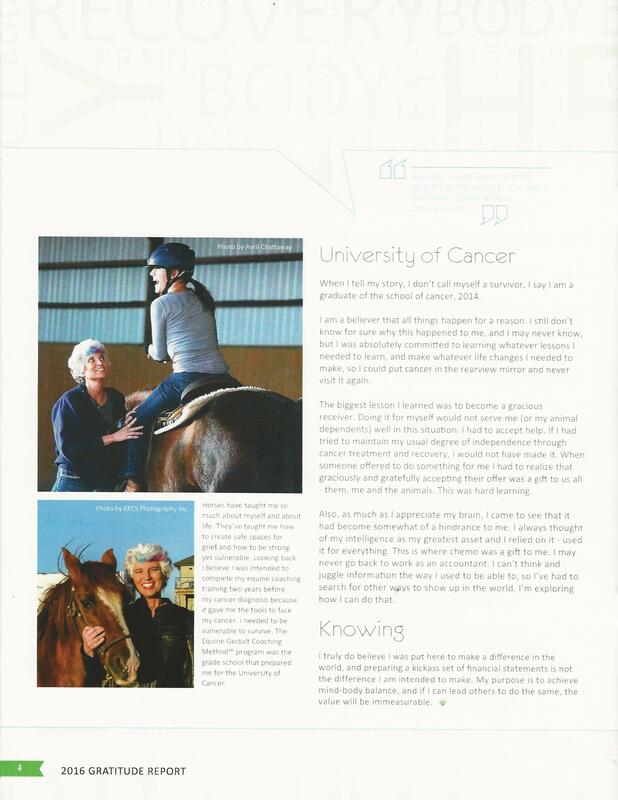 In particular, those who have experienced serious medical challenges and those who have cared for a loved one faced with significant illness may be inspired by Jocelyn’s story. Thank you! Thank you! Thank you! for joining us this week and sharing your story both through video and in person. You did a brilliant job! Your voice is so important to their decision and your willingness to generously share your personal story and your thoughts about Wellspring Calgary were the most important part of the presentation in my mind. Please accept our deepest thanks for all this! You are amazing! Do you ever feel crushed by the comments others make to or about you? Do you ever unintentionally offend someone when offering suggestions? Learn how to practice candor with kindness, balancing honesty and empathy. Remove the sting and glean the value of feedback given to you by others. Deliver helpful suggestions rather than hurtful criticism. This program teaches to give and receive feedback in a way that will make it more palatable and help you tactfully give and graciously receive the gift of another person’s perspective. I am fiercely committed to guiding people who have been affected by traumatic injury or illness: their own; that of their loved ones; or clients/patients. My mission and commitment is to help you to reframe your challenges as opportunities to learn and make the changes to walk into your authenticity and vulnerability and live a more peaceful life. reframe painful experiences as a lessons to learn. Success through surrender – how I switched my focus from battling cancer to healing it. Becoming your own best advocate – taking charge of your health and healing by becoming the manger of “Project Health”. Learning from the masters – horses live in the moment and are always authentic. When teachers are this big, I listen. 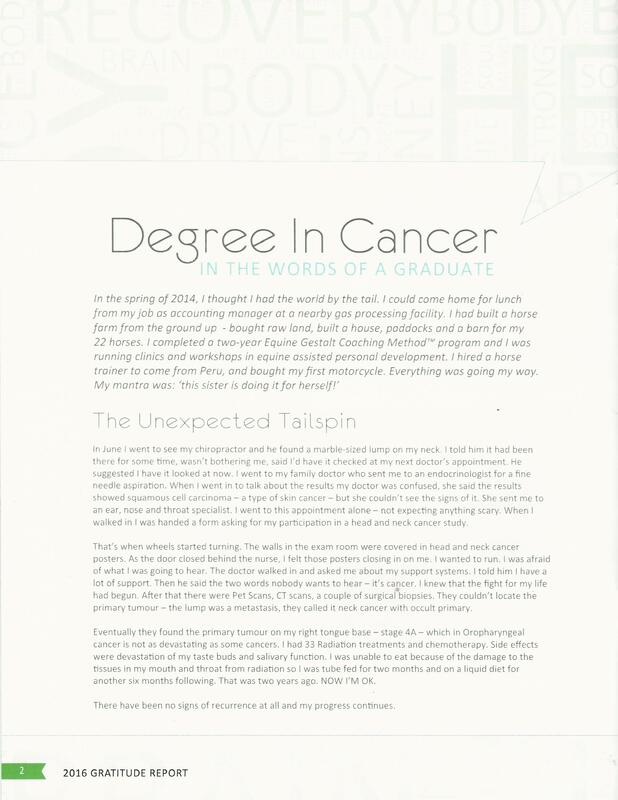 Facing fear – how facing my fear of real and steel horses prepared me to walk through facing mortality during cancer diagnosis and treatment. Drawing and defending personal boundaries – learning self-care by determining what is and isn’t ok for us. With thirty plus years of business experience and my journey through cancer, I have a unique perspective on facing my mortality and learning to get out of my own way and accept the love and support from my network of family and friends.